Comments Off on New Fall Collection! Hey y’all! I just released a few mesh bags available in a variety of autumnish colors! They’re all mesh, but non-rigged and come with 3 attachment points! You can choose between canvas and leather option, hope you’ll like it! 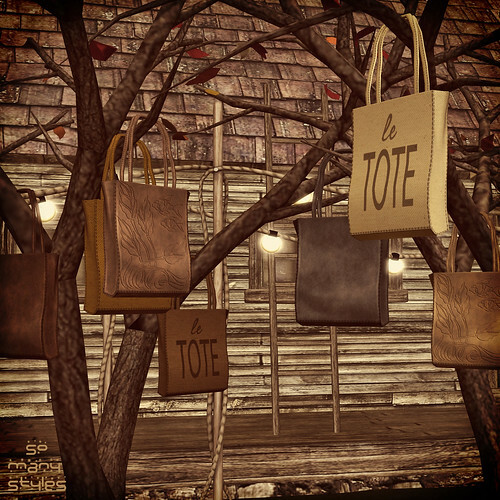 Comments Off on New Totes!